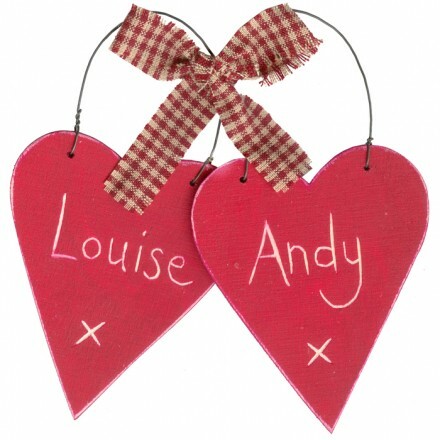 Always be close to each other's hearts with these wooden hearts carved with your names. One to give and one to keep. Set of 2. The Message in Picture is an example only. Please enter your 2 name as you wish it to appear. Carved with a name and a kiss. On a seasonal note these hearts make great gift tags, name tags for stockings and are an unusual way to mark place settings at the table. 2 Single name only. Please enter your personalised details in the box provided.